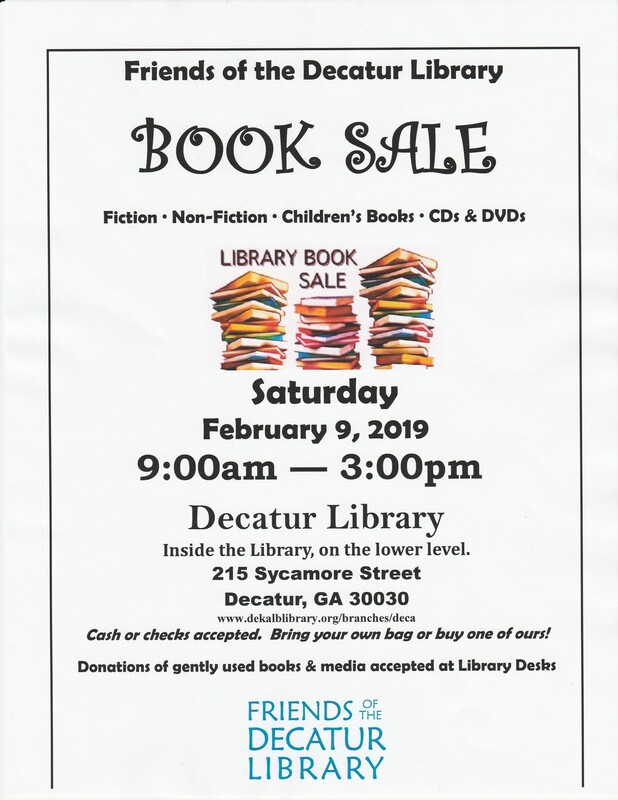 The Friends of the Decatur Library will host a book sale on Saturday, February 9, 2019, from 9:00am to 3:00pm. The sale will be held inside the building, on lower level of the Decatur Library. Thousands of gently used fiction, nonfiction and children’s books, as well as CDs, and DVDs will be available for purchase. Only cash or checks will be accepted. Dealers must scan at tables. All proceeds benefit the programs and collections of the Decatur Library. Admission to this exciting event is FREE! Donations of gently used books are always welcome at library front desks.